The Mobile Emergency Response Plan is the new standard for Emergency Response Plans, Crisis MGT and Workplace Safety for Businesses and Organizations. A user would be your managers, supervisors, security personnel and employees that would use the MERP system. 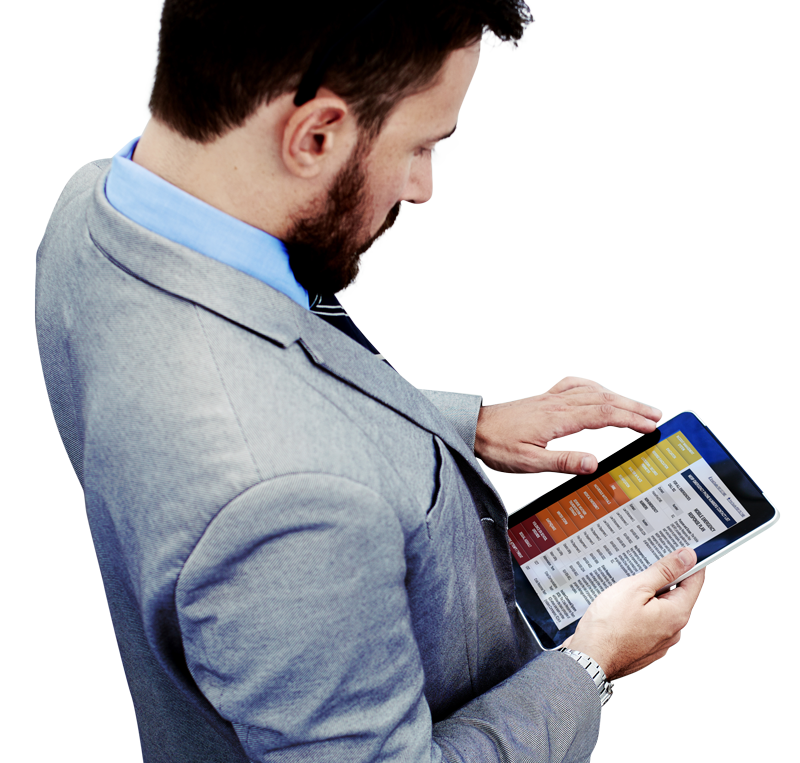 The Mobile Emergency Response Plan (MERP) allows you to take your emergency plans from the 3 ring binder in the manager’s office and put them in the hands of every employee in your company or organization. Imagine being able to make an update to your emergency response plan and instantly push it out to all employees and facilities with the touch of a button. MERP makes that possible. MERP comes pre-populated with an All-Hazards plan based on Best Practices. The plans are OSHA complaint, 100% editable and can be customized to your business or company. MERP is designed to be a web based tool for the basis of a company’s or organization’s response to unplanned incidents. MERP holds the strategy for immediate response to an emergency, while serving as the guideline for the actions to be taken by employees in the critical first moments of an incident. The cost of printing your plans is 1100% more than the cost of an electronic versus. This does not include the cost of a Subject Matter Expert (SME) creating an OSHA compliant plan. OSHA regularly fines companies that do not have a written plan and safety information. The cost of OSHA fines is increasing on August 1, 2016, from $7,000 per incident per location to $12,471, and for willful or repeated violations rising from $70,000 to $124,709. This will make it even more costly to not have a written plan in place. A national pharmacy was recently fined $40,000 for just one of its stores that did not have a written plan in place when one of its employees was injured. Content is included for all OSHA emergencies to meet all OSHA required regulations. Plans are available as an App (Apple & Android) on a user’s device, making the plans and all information available even if internet access or power is unavailable during an emergency. All Employees have what they need when they need it. The electronic format allows you to easily change the content such as contact names, phone numbers and any content or document in the plan. An electronic plan can be updated at any time and pushed out to all employees. There is no need for costly printing after revisions and everyone will have the most up to date plans and information. Experts provide guidance on laws changes. Our plans were developed with Local, State, and Federal First responders and meet standards of All-Hazards as recommended by the US Department of Homeland Security. The plans you receive will meet and exceed all OSHA requirements, eliminating the need for additional expenses to have a SME create the content and plans. The plans are 100% customizable. You can brand the plan with your company logo, upload documents, building maps and add whatever content you feel necessary for your employees to have including but not limited to emergency utility shut-off procedures, MSDS, SDS, lock out/tag out, confined space, safety training, and medical information. Your number one asset is your employees. Protecting your employees shows they are valued members of the team and company. With Workplace Violence and target acts of violence on the rise, your plans demonstrate the company is prepared to keep employees safe. Because our plans are designed to both prevent incidents and mitigate the effects of an incident, there is a direct tangible cost as the average direct cost to employers for an injured worker is $42,000 from lost time and lost revenues. Per the Bureau of Labor Statistics 2014 Census of Fatal Occupational Injuries, 4,821 people, more than 13 per day, died while doing their jobs. Implementing safety measures can change these statistics. The indirect costs for a safety related injury are $192,000 from fines, lawsuits, and other costs. This system not only notifies employees and managers with the touch of a button an emergency is happening, it allows communication from any employee back to managers and all other employees of the event in real time. Everyone is apprised of the events and what to do as the emergency is happening, allowing the most current information to be communicated to employees. This follows the basic tenants of the Incident Command System: protect personnel; prevent the incident for increasing in severity; and protecting your organization’s assets.